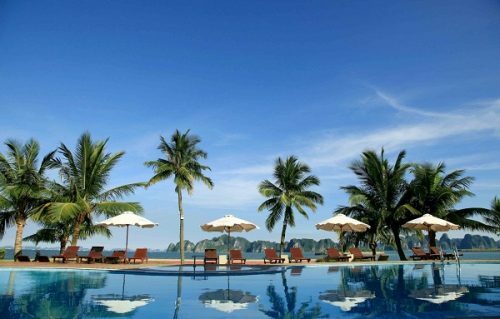 Located on Hon Co Island, Thien Canh Son has been a famous attractive destination in Bai Tu Long Bay. This is a cave with mysterious look that makes you feel like stepping on heaven – a must-visit place on your trip to this charming bay. By going through a pathway with stones and bushy trees of forest, you could set your foot on there. This cave is comprised of two main chambers together with a large number of different stalactite shapes such as dolphin, seals, flowers, which can stimulates your imagination as well as creativity. Coming there, you will have an awesome opportunity to immerse in the mysterious charm of splendid rosin’s system hanging inside this cave. As being covered with thousands of glittering stalactites, dome wavy creating unique images: the flowers, stone dragons and stone statues – such a perfect world, this entire ceiling itself beautifully shines. Getting inside this cave, travelers will definitely be overwhelmed by an almost surreal wonderland with gorgeous natural images and incredible stalactites resembling a baby elephant and a lotus. Plenty of stalactites and stones in various sizes and shapes will challenge your creativity and imagination. 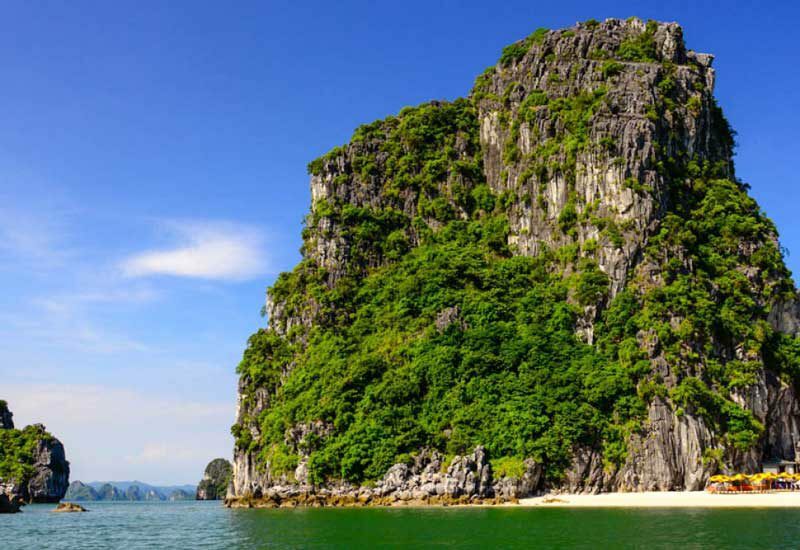 Getting out of this cave, you will get excited thanks to by the exceptional scenery of Halong Bay and Bai Tu Long Bay from above. At the cave’s foot is the beach with soft white sand and calm blue water. Covering rock islands from the foot to the top is lush, diverse flora. 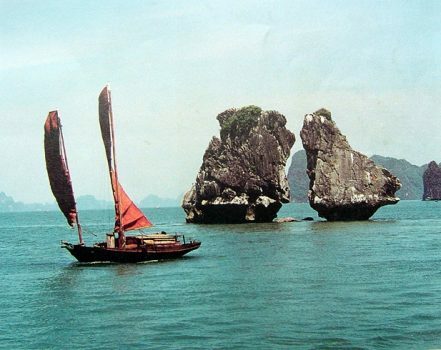 Travelers not only get to visit and explore these caves that are located in the heart of world heritage site, but also want to have the freedom to have sail excursions around the beautiful limestone islands or soak in pure fresh water. 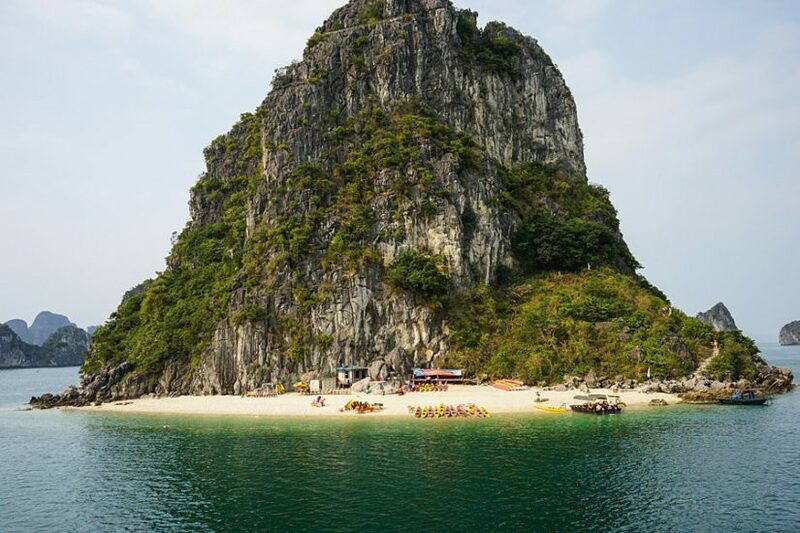 This is the reason why many cruise operators in Halong Bay chose Thien Canh Son Cave as one of the stops of their journeys with the desire that guests will have the unforgettable moments with their friends, family and loved partners. 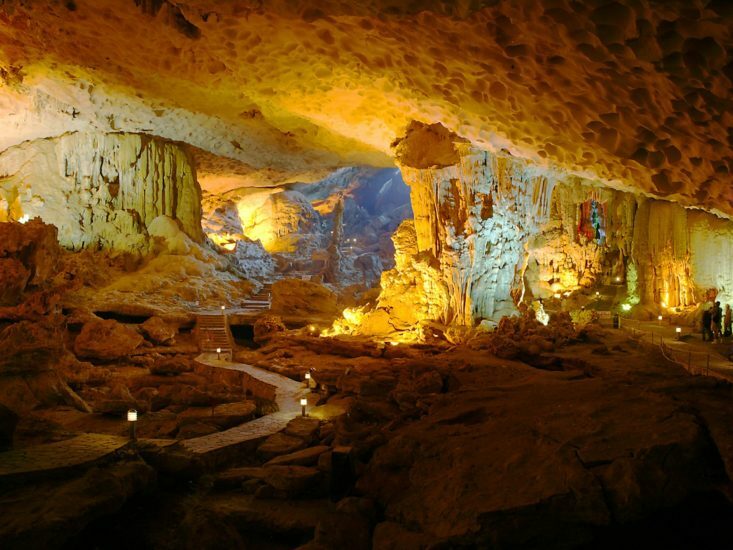 However, among all of these interesting activities, having an amazing dinner in Thien Canh Son Cave with your beloved ones is one experience that you definitely should not miss to take. 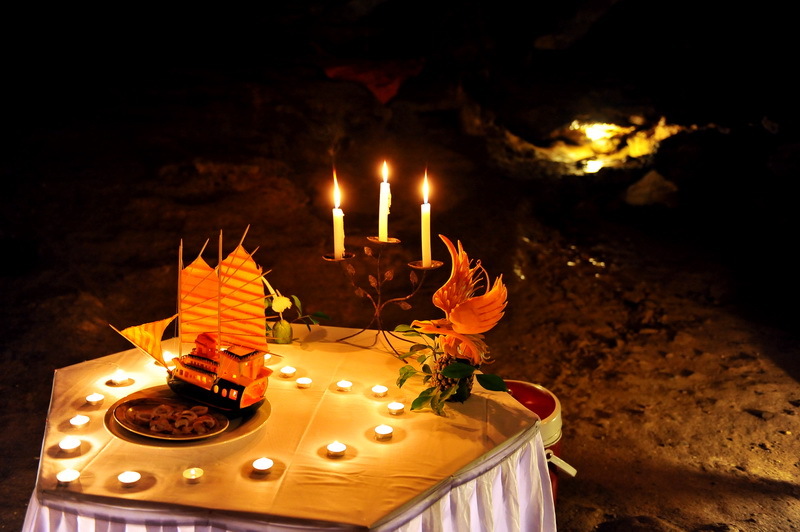 As much for the mouthwatering and beautifully presented food, as for the romantic setting, the dinner in Thien Canh Son Cave, on Hon Co Island will be an unforgettable experience. This wonderful occasion is perfect for a birthday party, wedding anniversary, honeymoon or even a special surprise for your beloved ones. Share, enjoy and relax – it will make your trip even more memorable. Having dinner on board is such a boring experience. You want something new? Let’s enjoy the special dinner in Thien Canh Son Cave! This special activity is well worth paying extra. After arriving in front of the cave, you will be taken to the place where the tables are set up, the food is impressively decorated and ready to be served by the welcoming staffs under the sparkling candle light. You will be in a different world with private and romantic space to enjoy. Most of the cruise operators can offer you this service. In fact, this service is mainly offered by the luxury cruises. Including cave hiring, set- up fee, food, personnel, the additional price is pretty high. Depending on how big your group and related requests, the additional price significantly varies.